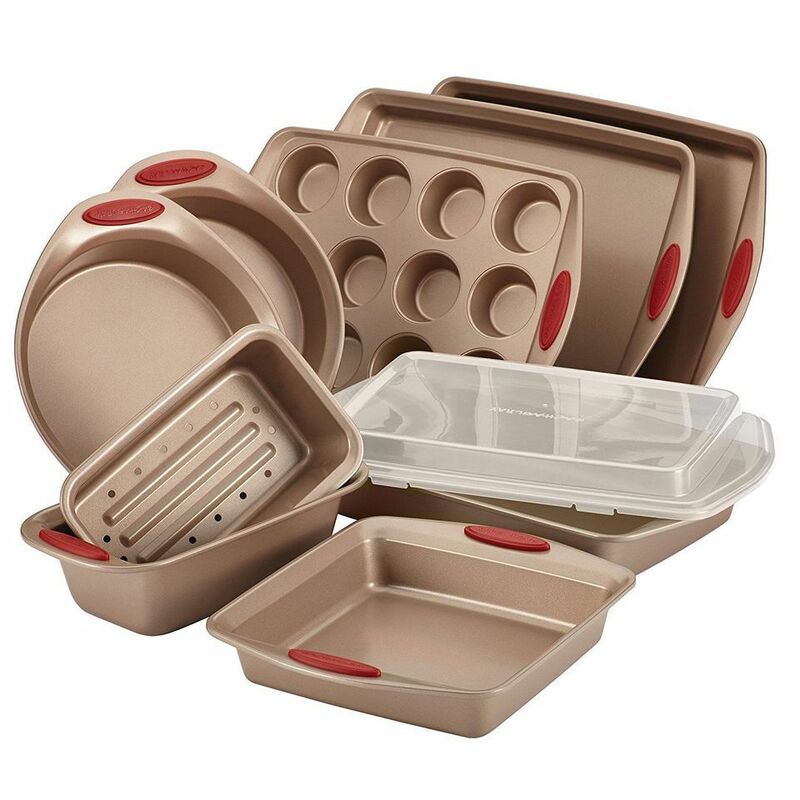 "This 5-piece set includes everything a new cook needs, without extra odd pieces that will take up precious storage space." "It can take the place of a countertop blender for many uses, and it’s easy to store in a small kitchen." "An enameled Dutch oven is a very versatile piece of cookware that can go from stovetop to oven." "Makes a lovely presentation for everything from water to orange juice to cocktails and would look just as nice on display on a shelf." "This is the roasting pan that will last a lifetime." "The press includes several disks that create different designs, and more disks are available separately, for different seasons and holidays." "This cute and quirky set includes a colander, a soup ladle, and a tea infuser, all shaped like the infamous Loch Ness monster." "It’s easy to use, and since it doesn’t require proprietary pods, it’s also inexpensive to operate." "Wooden cutting boards are classic, but bamboo is popular as well and has the same natural look as wood." "This rolling pin is both beautiful and functional, making it a lovely gift that will last a lifetime." "Besides using them for mixing, they’re attractive enough to use for serving at the table or as fruit bowls on the counter." "It’s adjustable for different thicknesses, so it’s great for new cooks who might not be skillful with a knife." "These are made entirely from stainless steel, and they come in a wooden box for storage." "Safe for use in the oven, under the broiler, or on a grill." "Cuisinart has recently updated their popular ice cream maker with a few extra features." 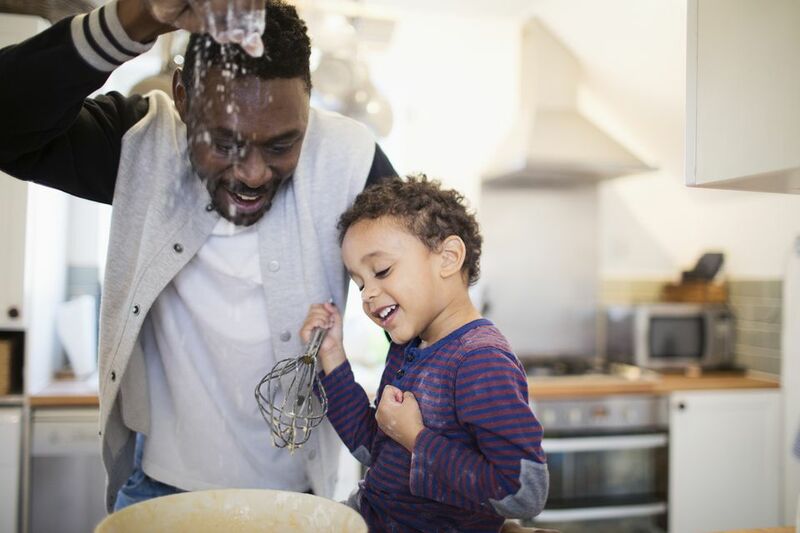 Every new cook needs bakeware, whether it’s for trying out mom’s famous brownies or for a quick snack of slice-and-bake cookies. This 5-piece set includes everything a new cook needs, without extra odd pieces that will take up precious storage space. The chocolate brown color looks elegant, and the nonstick surface and the ridges in the pan ensure that baked goods will release easily and the pans will clean up in a snap. The pans are made from heavy-gauge steel for even heating and the rolled rims make them resistant to warping. These are safe to 450 degrees, and have wide handles that are easy to grab. Take a peek at some of the other best baking pans you can buy. This stick blender can be used for making smoothies right in a glass, or for blending soups or refried beans in a pot. It can take the place of a countertop blender for many uses, and it’s easy to store in a small kitchen. If the new cook is a little bit adventurous, a stick blender can be used to make mayonnaise, which can be the first step to more adventurous cooking. While it’s not something a novice might think of, once they have it, they’ll find lots of uses for it. Take a peek at some of the other best hand blenders you can buy. An enameled Dutch oven is a very versatile piece of cookware that can go from stovetop to oven. It also looks attractive enough to serve from at the table or on a buffet. The heavy cookware promotes even cooking so food won’t burn as easily. Besides using the Dutch oven for cooking and braising, it can be used for baking bread or for frying, so it’s a very useful piece for any kitchen. Take a peek at some of the other best dutch ovens you can buy. This carafe makes a lovely presentation for everything from water to orange juice to cocktails and would look just as nice on display on a shelf or used as in impromptu vase. A carafe isn’t something most people will purchase for themselves, but that makes it even better as a gift. This is the roasting pan that will last a lifetime. There’s a heavy gauge aluminum core for even heating, completely encased by stainless steel, so it can withstand oven, broiler, and stove top use. Since it doesn’t have a nonstick coating, you can use metal utensils in this pan with no worry. When it’s time for cleanup, it can be washed in the dishwasher, and you can use any scrubbers or cleaners you like. This includes a nonstick v-shaped roasting rack that can hold a turkey up to 25 pounds, and the handles on the pan itself are triple-riveted for a secure hold. It’s a little bit expensive if you’re only going to use it once a year for a turkey, but worth it if you do a lot of other roasting. Take a peek at some of the other best roasting pans you can buy. Cookies are fun, and this cookie press will yield decorative cookies with little effort. It's great form making treats for parties, for bringing to work or potlucks, or for serving at home. The press includes several disks that create different designs, and more disks are available separately, for different seasons and holidays. This cute and quirky set includes a colander, a soup ladle, and a tea infuser, all shaped like the infamous Loch Ness monster. But these aren’t just cute, they’re useful. The ladle is handy for serving soup, chili, and stews; the colander can lift vegetables, pasta, or other foods while straining out liquid, and the teas strainer can be used for loose tea or infusing spices into liquids. With this coffee press, the new cook won’t need a large electric coffee maker that takes space on the counter. It’s easy to use, and since it doesn’t require proprietary pods, it’s also inexpensive to operate. This one is made from stainless steel rather than glass, so it won’t break, and the double-wall construction keeps the coffee warm for that second cup. Take a peek at some of the other best french press coffee makers you can buy. Wooden cutting boards are classic, but bamboo is popular as well and has the same natural look as wood. This set includes three boards of different sizes. The largest board is ideal for use as a cutting board, while the smaller ones can be used for prepping small quantities or for serving. Take a peek at some of the other best cutting boards you can buy. This rolling pin is both beautiful and functional, making it a lovely gift that will last a lifetime. While a rolling pin is used mostly for baking, it can also be used for other kitchen tasks, like pounding meat or crushing nuts or crackers. Take a peek at some of the other best rolling pins you can buy. A set of good mixing bowls is essential for any kitchen. These have a red stripe for a pop of color, they nest for storage, and they’re dishwasher safe, so they’re easy to clean. Besides using them for mixing, they’re attractive enough to use for serving at the table or as fruit bowls on the counter. A mandoline makes fast work of making even, consistent slices. It’s adjustable for different thicknesses, so it’s great for new cooks who might not be skillful with a knife. Besides making straight slices, it can make wavy or waffle slices or julienne cuts, and it includes a food holder for safety. The blades all attach to the mandoline, and the food holder snaps onto the bottom to keep all the parts together for storage. Take a peek at some of the other best mandolines you can buy. Steak knives are a bit of a luxury item, since most flatware sets include knives that work well enough. But a good set of steak knives makes eating steak, pork chops, or other meats a little easier. These are made entirely from stainless steel, and they come in a wooden box for storage. Pizza stones are good for more than pizza—you can bake bread or heat flatbreads in the oven. This one is safe for use in the oven, under the broiler, or on a grill. It’s safe for cutting the pizza right on the stone, and has a coating that makes it dishwasher safe. While this is meant for cooking, it can also be used for serving, making it even more useful. Cuisinart has recently updated their popular ice cream maker with a few extra features. It has a 2-quart capacity so you can make ice cream for a crowd, and a countdown timer so you can see at a glance when the ice cream will be ready. The control panel has three different settings and multiple speeds for making ice cream, gelato, sorbets, and more. The paddle design has been improved and processing time has been decreased in this model. The ingredient spout makes it simple to add crushed cookies or other add-ins, and it has an integrated measuring cup so you won’t need to hunt for another cup. The machine shuts off automatically when the ice cream is done. The freezer bowl has to be frozen for 24 hours before making ice cream. It should be washed by hand after it is completely thawed. Take a peek at some of the other best ice cream makers you can buy.